I can sum up how yesterday’s Bank of Canada rate drop impacts your mortgage in two words: It doesn’t. At least not immediately. That’s because we don’t borrow from the Bank of Canada—the banks that loan us money borrow from the Bank of Canada. So, don’t expect your mortgage rates to drop overnight. But this doesn’t mean you won’t feel the impact from this recent rate drop. And the bottom line is the reason why mortgage rates changes is because it’s big business for the banks. What’s the impact on variable-rate mortgages? If you’re a current home owner with a variable rate mortgage then yesterday’s announcement will probably end up benefitting you. That’s because variable mortgage rates are essentially determined by your lender’s prime rate and your lender’s prime rate is influenced by the Bank of Canada’s key interest rate—the very same rate that was bumped down yesterday by 0.25%. But, as I said, be patient. Mortgages mean business for banks—big business. And at some point, a lender will make a play to increase their mortgage business, and this will start with a reduction in their prime rate (and in their subsequent posted variable rates). This will prompt other lenders—also competing for mortgage business—to follow suit. Historically, the increase or decrease of a bank’s prime rate is approximately 25 to 50 basis points of the corresponding change in the Bank of Canada’s key rate (also known as the overnight lending rate). This could mean a 0.25% to 0.50% drop for a new consumer prime lending rate of 2.5% to 2.75%. For new home buyers (or those renewing a mortgage) this will mean even lower variable-rate mortgages. For those already in a variable rate mortgage, it will either mean a reduction in your monthly payment, or more money put towards your principal debt. 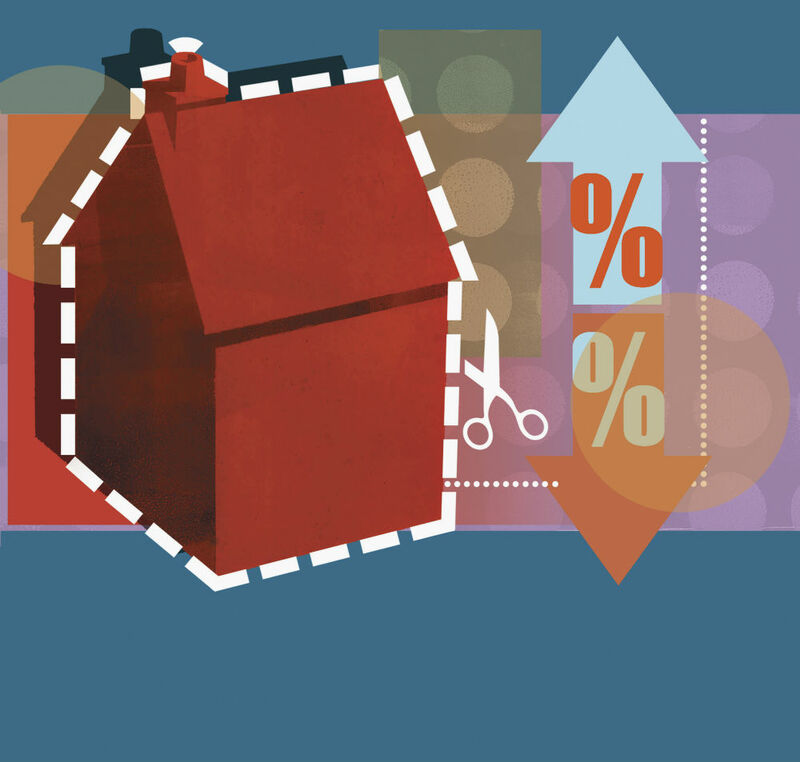 What’s the impact on fixed-rate mortgages? However, these recent and predicted rate reductions don’t directly affect fixed mortgage rates. That’s because fixed rates are not determined by the BoC’s overnight lending rate, but by bond yields. For five-year fixed-term mortgages, look at 5-year bond yields. For 10-year fixed-term, look at 10-year bond yields, and so on. Bond yields represent the benchmark for what capital should cost a bank at the lowest level of risk. Once a bank can establish this cost, they then set their fixed-term rates. The difference between the two—the posted/discounted fixed-term mortgage rate and the corresponding bond yield—represents the mark-up the bank earns loaning you the money. However, the Bank of Canada’s unexpected decision to lower rates—the first movement in the rate since September 2010—could impact fixed mortgage rates, because it could affect bond investor sentiment. Bond yields are currently at historical lows and fixed rates continues to be a very competitive market. But with the BoC’s new economic signal, this could signal a lack of confidence in the economy and investors could become skittish, decide to sell of their bonds, which would prompt yields—and subsequently fixed rates—to rise.